The London terror attack that left four dead and 20 injured was inspired by “Islamist terrorism” and known to Britain’s security services, said Prime Minister Theresa May said on Thursday. May, who addressed the Commons as the Houses of Parliament reopened this morning a day after a terror attack on the complex claimed four lives and injured 29 others, said Britain’s message was that “we are not afraid”. “It is believed this attacker acted alone. The man was British-born and had been investigated by MI5 over extremism fears,” May said, adding that the attacker was inspired by “Islamist terrorism”. She described the investigation into the un-named suspect as “historic” and not related to any ongoing inquiries by security services. 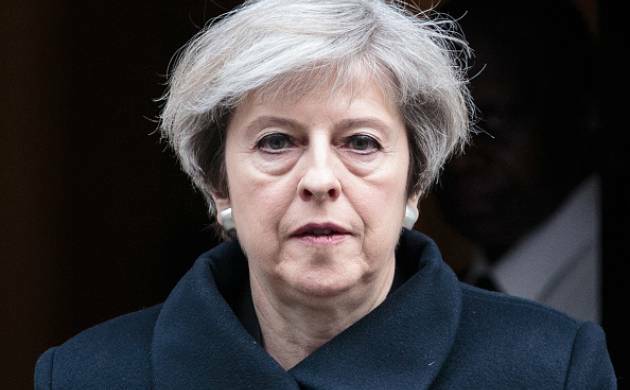 The British Prime Minister also confirmed that eight people have been arrested as part of raids across London and Birmingham following the attack on Parliament. In her statement from Downing Street last night, she had declared that Parliament “will meet as normal”. Today she joined MPs, peers and other Londoners in a minute’s silence to show solidarity with the victims of the attack and mark the start of proceedings at the Commons.